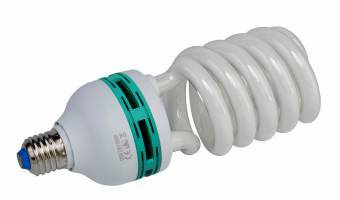 BRESSER JDD-6 is a spiral bulb with a daylight colour temperature of 5500K. This bulb fits into an E27 standard thread and is meant for continuous use in the studio. The light output may be multiplied with a factor of 5x compared to the light output of an ordinary bulb. In addition it is energy saving, long lasting and doesn't warm up during use.